If you thought this page was going to be about memory exercises like puzzles and brain teasers, you are in for a surprise. The true secret to improving memory, for many people, is actually physical exercise! How can I say this with such confidence? Simple: it has worked for me. If any of those sound like you, keep reading! I'm not exactly a couch potato, but most of my day does consist of "sitting" activities, or standing or light walking at the most. In school it was sitting in class or the library. At work it has been sitting in front of a computer or standing behind a counter. So what does this have to do with memory? Here's the answer you came for: if you want to improve your memory, increase the flow of oxygen to your brain. I heard that before, but now I know that for me personally at least, it is completely true. Our modern lifestyles are not much like those of our ancestors. 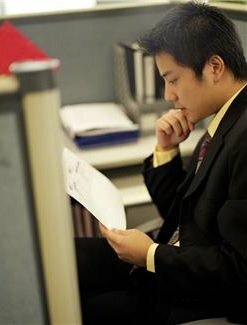 Instead of laboring for hours on the farm, today many of us sit in cubicles or offices or do very light physical work. Plus so many of us are now overweight, it is almost an epidemic. Our bodies and minds were not designed for this type of living. Our bodies are made to move. We know our bodies are out of shape. Just look at that beer belly in the mirror or try to run a 40-yard dash and you will understand immediately. 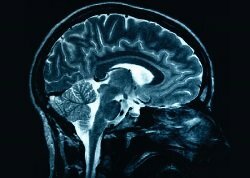 Well, in a more subtle way, the structure and functioning of our brains is also out of shape. With the brain, you just can't see it from the outside. Instead, you see it in your poor ability to concentrate or remember. If you are totally fed up with your poor memory, then I urge you to do what after all these years I finally did: Start doing intense cardio exercise at least 20 minutes a day, at least 5 days a week. Twice a day, if you can manage it, will clear your mind and improve you memory even more. If the thought of that much exercise makes you cringe, let me encourage you by saying that the effort is totally worth it. I'm telling you, the weeks when do my cardio workouts consistently, my mind is sharp as a tack, my thinking is swift, my perception is keen, and my ability to remember information - whether I've intentionally studied it or not - is just amazing. 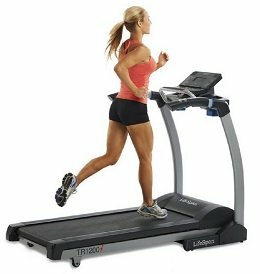 You skeptics out there may be wondering, "Well, if cardio improves memory, then why aren't students taking their math exams on the treadmill?" It's because improving the working of your mind through exercise takes time. It's the same as building up the muscles of your body - one workout won't make you look like body builder. It takes time and persistence and hard work. Similarly, one session on the treadmill won't improve your memory or your brain. You see, doing daily cardio exercise is all about increasing the volume and efficiency of what's called cerebral blood flow. That's just a fancy way of referring to the way blood is flowing into and out of your brain. If you get little intense exercise, the blood flow to your brain may be more sluggish than what it should be. This can cause forgetfulness and poor memory. You haven't strengthened your heart to pump blood through your body and brain at peak efficiency. Intense cardio exercise is what builds up the heart's strength. The best brain exercises may not be puzzles and brain teasers at all, but instead running or jumping rope. By the way, notice that I keep saying "intense" exercise. To get real benefits, you must push your body each time. A principle called homeostasis is the enemy here. Let's say you don't exercise intensely but simply walk at a leisurely pace for 20 minutes a day. Will that lead to really amazing improvement in your memory and cardio fitness? Sorry, not really. Certainly walking 20 minutes is better that 20 minutes of TV watching. But homeostasis says your body will not change and improve unless you force it to - by temporarily and regularly getting it out of the normal comfort zone. By pushing the limits. One more amazing thing about memory improvement and cardio exercise has just come to light through recent research. In addition to increasing cerebral blood flow, regular cardio exercise stimulates the growth of neurons in the memory areas of your brain! Can You Grow New Memory Cells? This is really mind-blowing, but studies at the National Academy of Sciences have shown that regular, intense cardio exercise causes new brain cells to grow in the hippocampus, an area of the brain that controls memory. One study showed beyond doubt that the adult participants in the study increased their scores on memory exams as a result of the exercise. Does growing new memory cells through exercise sound unbelievable? Well, the phenomenon of brain cell growth (neurogenesis) in the hippocampus through exercise is not just a theory. It is accepted as fact by brain researchers and has been proven over and over. Modern science is turning old beliefs on their heads every day. The wise person who listens up and makes the right changes reaps the benefits. The research about exercise and memory is currently incomplete. The scientists have not figured out yet exactly how long and how often you should exercise to get the most improvement in your memory. 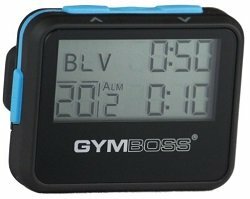 Gymboss Interval Timer and Stopwatch. I use this during interval training. So I figured that I should just use the Phillip's 20 Minute Aerobic Solution, which is generally hailed as a very excellent, doable program. You can read more about it on the Body-for-Life website at www.bodyforlife.com. The nice thing is that 20 minutes is not a huge amount of time. Everybody wastes way more time than that each day doing non-essential stuff. The tricky part is building the habit to do it daily and staying motivated. With the 20 Minute Aerobic Solution, it doesn't matter whether you run on a treadmill or outside, jump rope, ride a stationary bike, or do another activity. The point is that you must be able to increase the intensity four times during the 20 minutes. The way it works it that you start out slow to get warmed up. Then you speed up for one minute to push yourself, then slow down again. You repeat that four times, each time trying to hit a "high point" where you are really pushing yourself. You can see how at minutes 5, 9, 13, and 17 you speed up and hit a high point. Then, at minute 18 you really push yourself hard for one minute. Warm up the first 2 minutes at Intensity Level 5. This is basically a light walk or fast jog. Minutes 2-3 move from Intensity Level 5 to 6. In other words, push yourself a little harder. 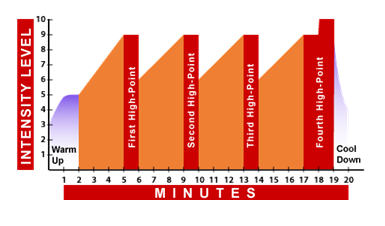 Minutes 4-5, 6-10, and 11-14 work your way from in Intensity Level 6 to Level 9, maintain for one minute. There you have it, your 20 Minute Memory Solution. Recent memory studies involving exercise lasted three months. Try this 20-minute cardio program at least 5 days a week for three months, then send me a message and let me know whether you experienced the same increased brain power and memory ability that I am now enjoying. I know it takes commitment. My schedule is so hectic with work and family that sometimes I find myself on the treadmill at midnight just so I can get in my workout. But as a wise person once told me, the exercise is almost always worth more than the sleep. Every item in this list is a proven benefit. Seems like a pretty good return on investment for just 20 minutes of your time each day. Everyone's body and brain are a little different, so as you build the habit of daily intense exercise compare yourself to your old self and not to others. Exercise is not going to turn you into Albert Einstein. But stick with the 20-Minute Solution for three months, and you will be amazed at how much better your brain works. Not to mention, you are also going to be in darned good shape!